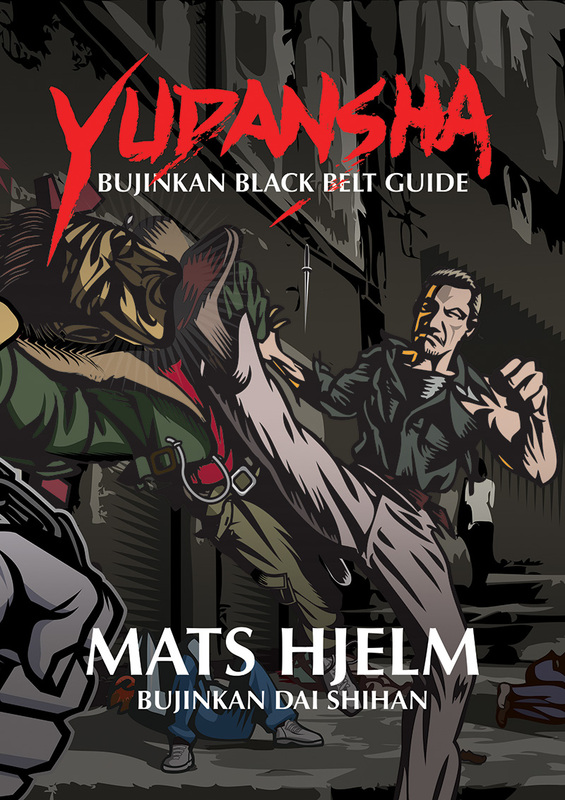 In September 2009 Bujinkan Kaigōzan dōjō SSIF in Stockholm, Sweden hosted a seminar with Dean Rostohar, Shihan from Bujinkan Croatia. First I would like to say thanks to Dean Rostohar for coming to us once again, this was the 4’th time we had him over here. Also special thanks to Davor, Hana and Ivica who travelled by car all the way from Croatia just to come here to train and assist their own teacher! Also big thanks to René coming from the Netherlands and Jukka coming from Finland. Also thanks to Tony for helping with transportation and stuff, and Johan for taking pictures and filming the seminar. Finally also thanks to the participants from Kaigozan Dojo, To Nan dojo, Solstaden Karlstad, Eskilstuna Bujinkan, Örebro Kampsportsförening and Berserk MMA. This was a very good seminar where Dean taught and showed us many, many good and useful techniques and examples from his personal experience. First I felt quite ashamed that I couldn’t get more people interested enough to show up on the seminar. Then I felt pity for the fools that missed the chance to get really good training, what did you do this weekend that was so important? Seriously, I don’t want to hear all bad excuses, let’s leave it at that I’m sure you can convince me you had good reasons ;-). As always Dean teach from his big heart, you who have been to his trainings know what I mean. The first day he did techniques based on the first technique Ichimonji from Kihon happo kata. But it was different than what he showed before, more realistic and useful. Although he never said that the basics is bad to know or practice, but the basics is basics to teach students a foundation to build up on. When you know the basics well you combine each basic movement to the situation, and it comes alive. You do what you have to do to benefit from the situation. He showed many different taijutsu techniques this weekend. In the afternoon training Dean and his students from Croatia showed many interesting techniques and team tactics how to work in a group, everything from quickly climbing up over a wall, or in to a window. How to take out a guard and many other examples how to work as a team. The second day Davor started by showing and teaching his excellent taihenjutsu skills, he did some of the best taihenjutsu moves I have ever seen. He was rolling smoothly and silently like a cat moves, very nice! Then Dean taught more taijutsu techniques from Kihon-happo. Then later on he showed us how to train up the sensitivity, and then he moved on to some sword techniques. Finally he showed and explained to us how to train while blindfolded. Please feel free to leave comments. It might take a while before the comments is approved because all comments is moderated to stop all spam, and hate comments. Today they put up a poster in Honbu dojo of what looks like a sword exhibition in Noda City Museum from February 1’st to 15’th. The website is noda-muse.or.jp. Unfortunately I will miss it.